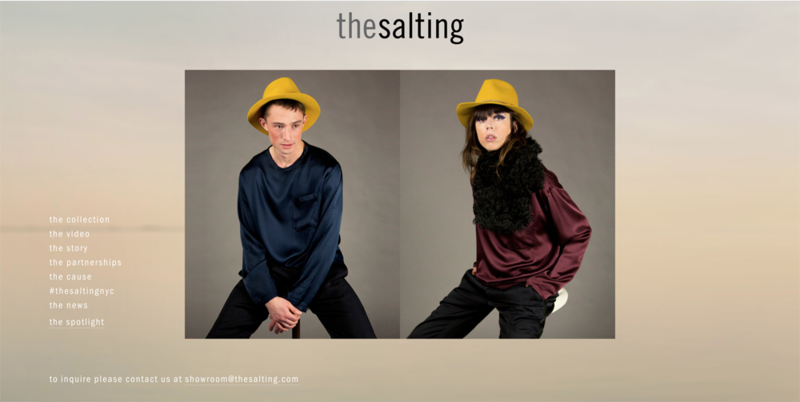 thesalting is a unisex brand that stands for craftsmanship, the raw and the refined. a deliberate embrace of a new mentality: a simple and luxe investment. all produced in america. "a salting is a coastal piece of land that gets flooded with sea water. when the tide receeds, the land is gently coated in salt, making all appear worn, like it had been that way for thousands of years and millions of stories. this universal visual helped define the haunting and sensorial ethos of thesalting." thesalting was designed with a big personality, a focus on craftsmanship, and the craving for newness. It is beyond yet another fad; it is about embracing the new mentality and simplicity of providing a simple and luxe investment. During an initial conversation with co-founders Michael and Michael, along with design consultant, Liong, we discussed dusky tones and a haunting disposition as key aesthetics and prioritized a friendly, straight-forward site navigation.